If you are looking for advice and tips on your career you have come to the right page. You will find information and advice on how to apply for fellowships and research grants, links to information on such as how to prepare for a job interview and how to have a good work/life balance as a scientist. First off, you may find it useful to read over the following articles which discuss just what it takes to be a successful researcher, including the ten commandments for being a successful scientist in academia from the UK’s Biotechnology and Biological Sciences Research Council career development fellow Darren Griffin. If you are looking to develop yourself as a successful researcher and want useful tips on what you should do to flourish as an early career researcher see Luis Toledo-Pereyrathe’s Ten Qualities of a Good Researcher, Stull & Ciappio’s Winning Formula to Become a Successful Scientist and Bland & Schmitz’s Chracteristics of the Successful Researcher. synonyms: dithering, delaying tactics, dilatoriness, stalling, temporizing, hesitation, vacillation. Are you prone to procrastination? 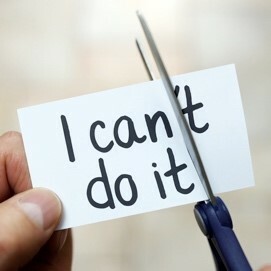 We have linked to a couple of great articles to help you overcome this including overcoming procrastination and this one on managing procrastination which also has some useful tools to help you on your way. 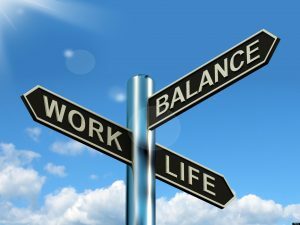 Looking for some good tips on how to adjust your work/life balance so that it works for you well here are some excellent articles to help you on your way. The first is Can scientists really have work/life balance? posted on Nature Jobs Blog by Jack Leeming; then we have The Possibility of Work-Life Balance in Science by Brennan Boyle and The Art of a Work-Life Balance in Scientific Research by Dave Kostos. For those juggling their career and a young family, or who are wanting to embark on this journey you may also enjoy taking a look at Elisabeth Pain’s article on Balancing career and family and Ignacio Amigo’s Science made me a better parent. Are you finding it challenging being an ECR, you may find it helpful to know that you are not alone! Read about the 10 common challenges faced by the early career researchers. If you’re just starting to build your career in academia, AWTRS Vice-President Dr Zlatko Kopecki (UniSA) and society Secretary Dr Brooke Farrugia (UNSW) have some useful advice to young ECRs developing their career in academia, including how to apply for a fellowship and tips for boosting your track record. In particular, be sure to take advantage of the scholarships and awards open to ECRs and HDR. These could be institutional or state based and may vary between states, however, checking your University webpage is a great place to start. About to start writing your first grant, here are some useful tips to get you started. Search through Australian and New Zealand-based grant agencies for ECRs specific grants and don’t forget that your institution is also likely to have a number of opportunities to help kick-start your research career. If your institution is registered with Research Professional then this great resource allows you to screen different grants and get alerts of relevant opportunities for your field. Applying for a job can be stressful but to make your life easier watch out for these 10 common mistakes and make sure to have an academic CV which gets you ahead of the pack. Feeling the pressure to publish or perish? If you are struggling to find the time to write, it may be worthwhile to visit ThinkWell and download the extremely helpful Turbocharge Your Writing for a number of useful tips on how to become a prolific academic writer. Alternatively, you may find this free, online science writing course provided by Stanford, could help make you a better science communicator. Or you may prefer to print out this simple infographic for some straightforward tips to help you write better research papers. And, if you’ve just received back your reviewer’s comments from a manuscript submission, it could be worthwhile reading the following Nature article on how not to respond to reviewers. Networking is fundamental to establishing and forwarding your career, but you may not know how to effectively network. Some useful hints for making beneficial professional connections can be found here . Interested in being a part of the FREE virtual ECR network? Join the RiAus ECR Research Network to access (in person or online) special events with speakers addressing the needs of ECRs including how to prepare for a job interview and how to have a good work/life balance. Take a look at the previous topics on Australia’s Science Channel. Finding a mentor can be greatly beneficial to furthering your development as an ECR. 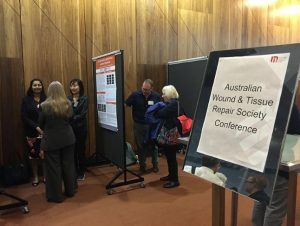 As Dr Carolina Weller and Dr Rachael Murray discussed in this AWTRS newsletter article about strategies for finding a mentor and creating successful, being paired with a more senior scientist who is not linked to your institute or supervisor can assist in providing you will invaluable advice on your career path. You may find that your University offers a mentorship program to ECRs and it would be worthwhile to access these programs if available. 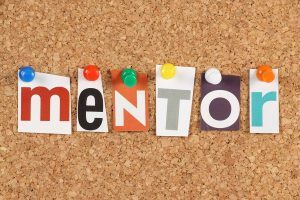 Alternatively, the Australian Society for Medical Research recognises the importance of mentorship for health and medical research scientists in Australia and offers a free career mentoring program to its members. If you are interested in finding out more about the ASMR mentor program, click here.